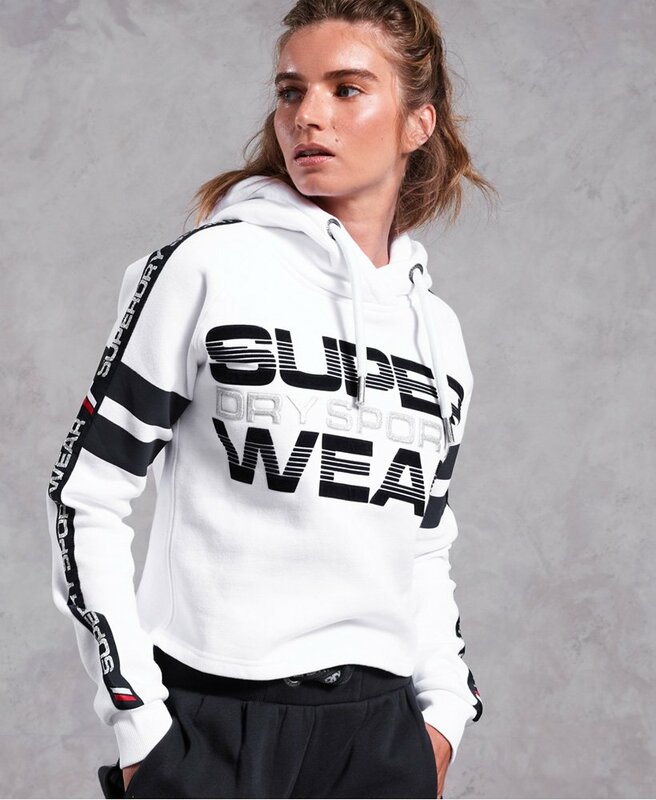 Superdry women’s Repeater cropped hoodie. A fresh take on the cropped hoodie, featuring a draw cord adjustable hood, ribbed cuffs and a large textured Superdry Sport logo graphic across the front. The Repeater cropped hoodie is finished with stripe detailing and Superdry branded logo taping down the sleeves. Throw on over your gym kit for the perfect outfit for the walk to your next session.